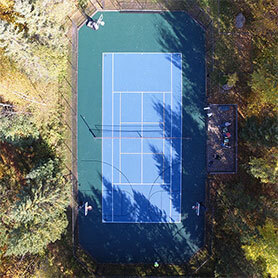 We are your Wisconsin game court specialist, whether we are simply resurfacing your old tennis court or building you a brand new one from scratch. 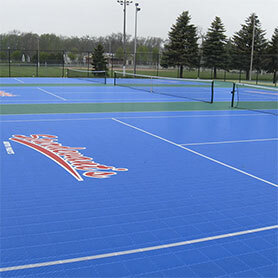 Sport Court Wisconsin serves residential communities and commercial properties, building Quickstart Tennis courts and tennis courts from Milwakee, Madison, Wausau/Eau Clair, Green Bay and Lake Geneva, along with their surrounding areas. Our tennis courts offer vertical cushioning and patented Lateral Forgiveness that absorb the shock of sudden starts and stops during hard play. There is no need to worry when it comes to cracks, blisters or resurfacing your court. As the largest certified Tennis Court Builder Network in the industry, our team is dedicated to providing you with a long lasting, low-maintenance tennis court. From a suspended surface, Power Game™, Premier Court, Guardian Repair or Cushioned Acrylics, these systems come with longer warranties. We are ready to customize any court to your needs, whether it is 36’, 60’ or a full-sized tennis court. Sport Court Wisconsin can help you upgrade or resurface your existing tennis court. The United States is home to acrylic surfaces, the most tried and true playing surfaces for tennis. American tennis grew up on this surface, although acrylic surfaces have their inherent issues with constant repairs, maintenance, and cracking. Sport Court Tennis eliminates issues with standard acrylic surfaces, by providing long term safe surface options, more than any other company. 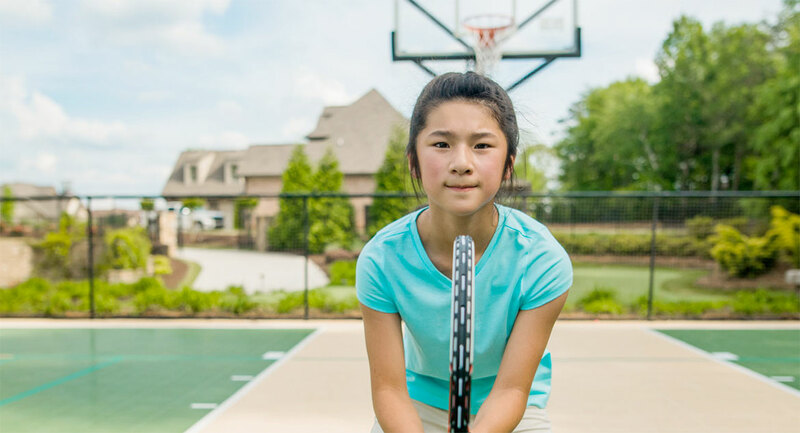 From children to adults, our surfaces provide safety for tennis players of all skill levels, going easy on the joints and serving as a responsive surface that helps the athletes perfect their game. Sport Court Wisconsin is the leader in tennis court resurfacing, allowing high-performance athletes the opportunity to play on their very own indoor or outdoor tennis courts. Sport Court Wisconsin serves residential communities and commercial properties across Milwakee, Madison, Wasau/Eau Clair, Green Bay and Lake Geneva in building tennis and multi-sport game courts.